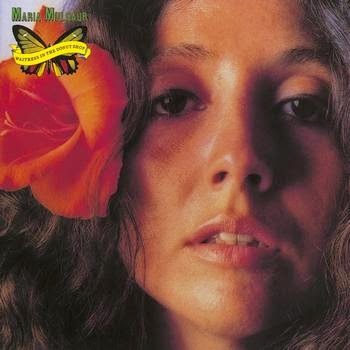 Maria Muldaur is an American singer. Maria Muldaur's debut album hade given her a hit single with "Midnight At The Oasis" in 1973. Her second album was released the next year, and saw her present another delightful collection of rootsy American music, full of lots of bluesy and jazzy flavours. The songs she chose to cover included numbers by Henry Glover, Skip James, Clarence Ashley, Fats Waller and Allen Toussaint. Musicians appearing on the album included guitarists Amos Garrett, Elvin Bishop, David Lindley and Lowell George, drummer Jim Gordon, bassist John Kahn, keyboardists Dr John, James Booker, Paul Harris and Spooner Oldham, harmonica man Paul Butterfield and mandolin virtuoso David Grisman (plus many others). The album gave her another hit, as her cover of Jerry Leiber and Mike Stoller's "I'm A Woman" (originally a hit for Peggy Lee in 1962) got to #12 on the singles chart. This was actually the second time she had recorded this song, as she sang it whilst with Jim Kweskin's Jug Band back in the 60s. in the original album liner notes shows a picture captioned "Gloria Fazool" but it looks just like Maria, any idea who "Gloria Fazool" is?